The Fiat Linea will have an integrated Bluetooth system to hook up your mobile. But your car, your mobile and your computer might soon become one entity. The Fiat Linea, which will be launched in India shortly, will be the first midmarket car with an integrated Bluetooth system. Though the Tata Indigo XL had such a system, it was an aftermarket Blaupunkt system on that car. Blaupunkt and Sony Audio both make Bluetooth-capable systems which you can fit to any car; Blaupunkt’s Bremen MP78 system is just one of those systems. However, the ‘Blue&Me’ system in all Fiat family vehicles takes in-car integration to another level. It was developed by a Turkish company Tofas A.S and is the result of a tie-up between Fiat and Microsoft. Now, this might scare the living daylights out of open-source fans, but Linea (at least the top-end model) will come adorned with Windows logos. Yes, Steve Ballmer is in your car now, and that is not a pleasant thought. So, what is ‘blue&me’ all about? 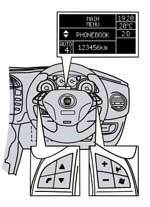 Well, the really cool bit about this system is that it enables you to use your mobile phone from your steering wheel (see graphic), including facility to listen to and dictate text messages. This is a bit more than the rather simple integration you get in highend German saloons—though on the Volkswagen Passat you can read text messages on the instrument panel. The system supports a host of non-Windows devices such as Nokia Nseries and Eseries, BlackBerry’s and Sony Ericsson devices. In fact, the system has a USB port in the glove compartment to plug in any MP3 player and you can even scroll up and down albums using voice commands. So, big deal, what does this mean for me? The jump of such systems from Rs 20-lakh plus German saloons into sub-Rs 10 lakh cars is a big deal because these systems should soon be making their way into small cars. The other big plus, with 3G and WiMax networks on their way and the Netbook category exploding, will your car just end up being yet another node in a network? Sooner than you think. While it is cool to talk naturally in your car, your conversations may not be private when there is someone with you, though you should be able to decouple the system by switching off Bluetooth on your mobile. But what about the police, talking on your phone while driving is illegal, but how will they ever know now?